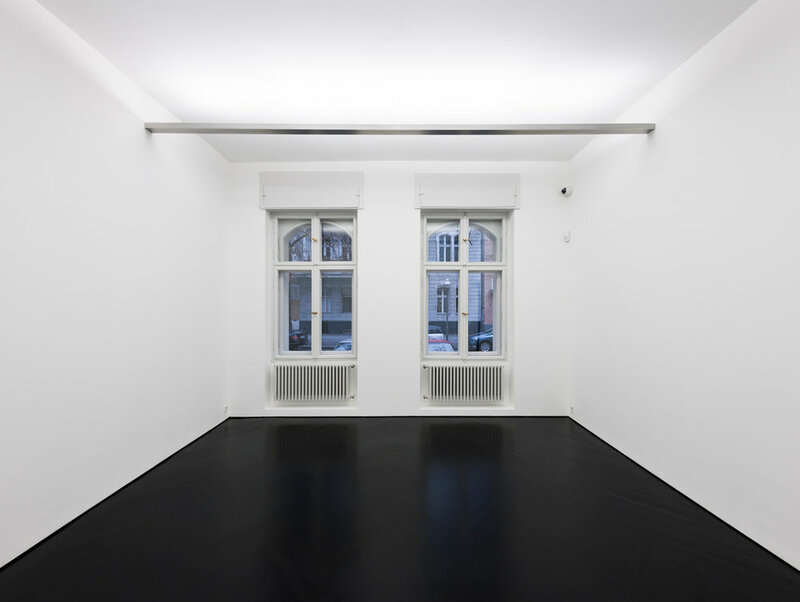 The minimal exhibition space, Galerie Berinson, has been designed by Gonzalez Haase AAS and is located in Berlin, Germany. 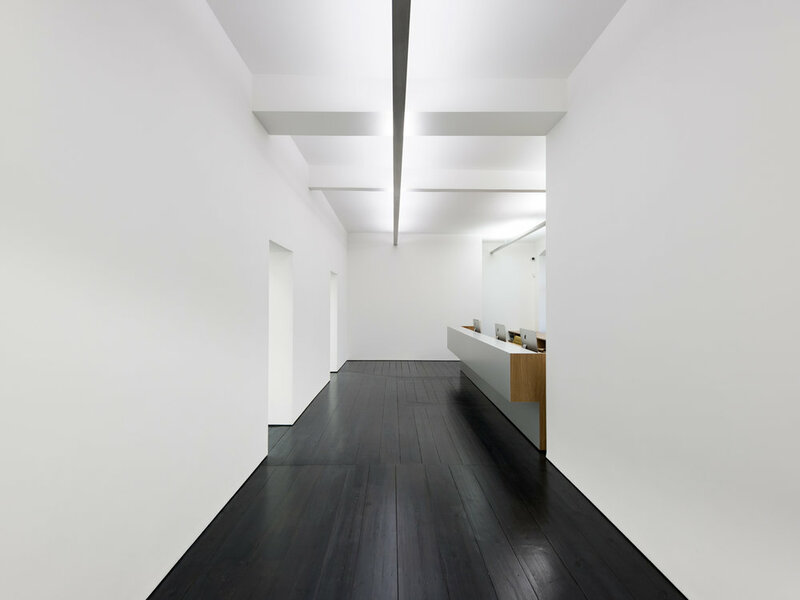 The exhibition space and office feature a stunning dark wooden flooring that works in unison with the white wall and ceiling. 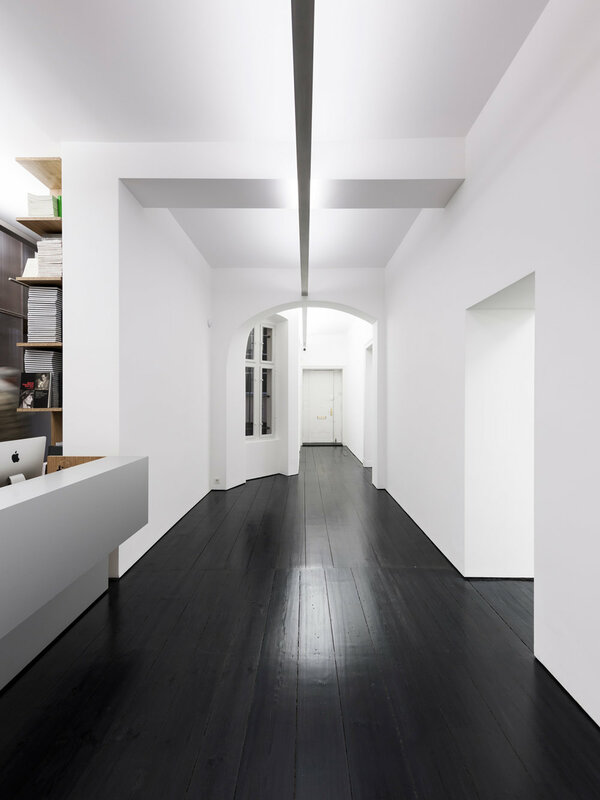 The contrast between these two features is expanded on by the introduction of alternative patterns within the dark wooden floors. 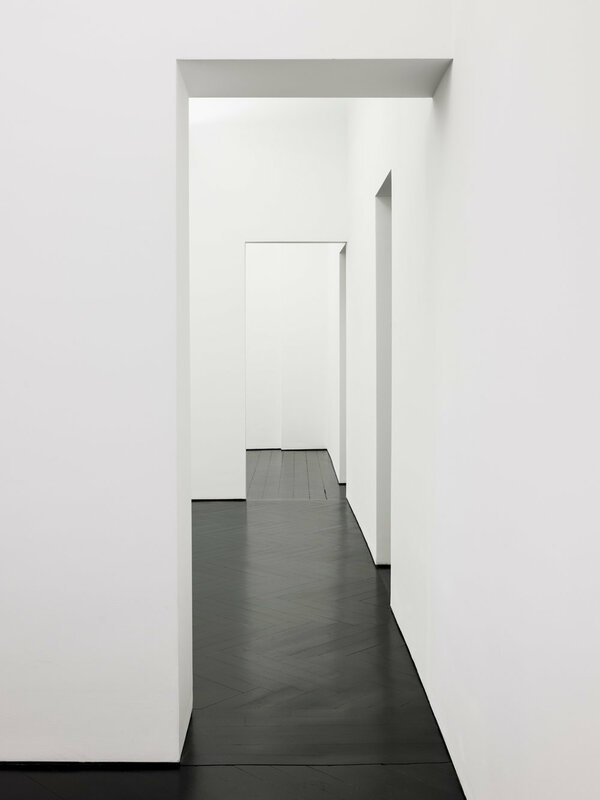 They interchange between herringbone, slant and straight patterns between each space. 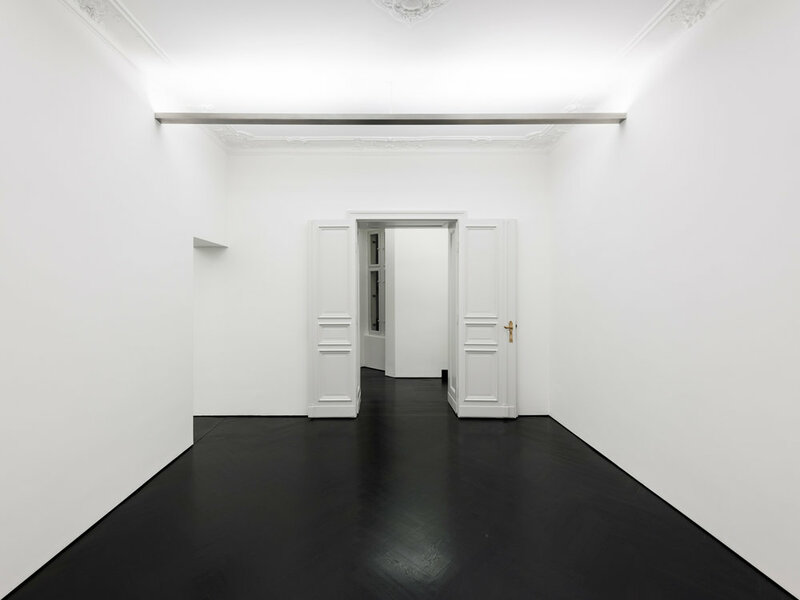 The interior has been illuminated throughout by concealed bulbs housed within a long thin metal channel. This forces the light upward creating the soft diffused lighting that we see. The original embellished boiserie can still be seen in the windows and doors which have been protected which successfully compliments the new.